The current controversy over short-term rentals takes me back more than 30 years to when we had decades of discussions about what Big Sur should be like in the future. Big Sur was the only area in the 5th Supervisorial District that was to have a permanent plan in terms of what was to be commercial and what would remain residential, and what the infrastructure would have to be. In order to get that settled on paper and into specific policies we talked intensely about what makes Big Sur unique. We know it’s beautiful, we know it’s different from the rest of the world — it’s simply stunning. We know it has more water than the Monterey Peninsula; it has wonderful assets of wilderness, wildlife and peace. It has great cultural attractions. But above all, we know it’s fragile. The landscape is fragile. 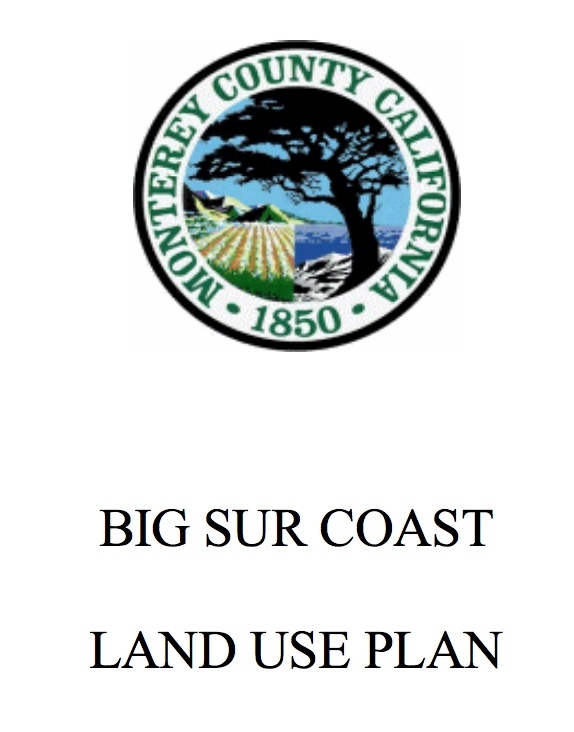 We basically made a decision as a community to keep the Big Sur landscape preserved for posterity, and to its credit the Big Sur community supported that ultimately when, as County Supervisor, I was in charge of the Big Sur Plan. We stopped arguing, and we were all together, especially when federalization was proposed from Washington, D.C. As you know Big Sur locals led the charge and fought that back. For one thing it was going to change the zoning of Big Sur, for another, it was going to change the oversight of Big Sur. Ultimately it was going to change the money made off Big Sur. Everyone wanted a hand in it, from all over the world. And it was likely to price the locals out. Those are my chief concerns today when I hear about the short term rentals. Long ago we decided to preserve Big Sur for posterity as a community, and we made it legal with the Coastal Act. Incidentally our plan was the only coastal plan that was approved by the Coastal Commission without amendment in the history of the program at that time. It was considered an excellent plan by everybody, once we stopped fighting and got together. The decision was made at that time that Big Sur was to be open space, a small residential community and agricultural ranching. Low impact was suitable to the land. So we have minimum 40-acre parcels and large spreads for grazing, and the U.S. Forest Service and California State Parks is to provide large wilderness for hiking and so forth. For visitors Big Sur was not to be a “destination” but a “brief experience passing through.” The land could take this and this would guarantee it for the future. Because of that we insisted on having a two lane road forever that could not be widened, that we would never have large hotels, nor new hotels outside the established commercial zones. And a very limited number of caretakers units, because those would be an increase in residential use. There was to be no commercial visitorship outside the established commercial areas. “Short Term Rental” is commercial. The zoning to me is really critical because it protects the land and maintains it not just for us, but permanently. The other thing that concerns me, having been in government and knowing how things work and knowing intimately how Monterey County works; to have a law that you cannot enforce is a very dangerous thing. It creates disrespect for that policy and it sets a precedence to disobey other laws. I cannot see how a Short Term Rental law can be enforced in Big Sur. Yes, there are people who are conscientious and home bound and aren’t out just for the money, but that is not the majority and that’s not what will happen if Short Term Rentals are legalized. Properties will be bought in order to become small hotels. And locals will be priced out of competing for that property as a residential dwelling. And how would you enforce short term rentals in Big Sur? We know the County has a history here of not enforcing other zoning rules—and it is difficult. Most people in Big Sur are not particularly unhappy with that. But they are unlikely to welcome heavy enforcement or mimic Carmel, where every tree is counted. So counting on enforcement for protection of the rules is a double-edged sword. However, having said that, I don’t see the County being capable of regulating short term rentals given the scale and terrain of 80 miles of Big Sur land where people reside widely scattered along roads and trails often difficult to access. All I’m saying is, don’t count on promised enforcement to take care of the problems.